Experience the charm of Shanghai’s French Concession quarter in one of the city’s best hotels, the Capella Shanghai. With its soothing Jaya Ibrahim contemporary designs, and idyllic tree-lined neighbourhood setting, the Capella offers modern Chinese urban- living at its best. Only 55 residences and 40 villas are available here, allowing the hotel to focus on providing bespoke service, and special attention to those who choose to call it home. This exceptional hotel is ideal for those who want to feel cocooned from the outside world while being only minutes from the city-centre of one of China's busiest cities. 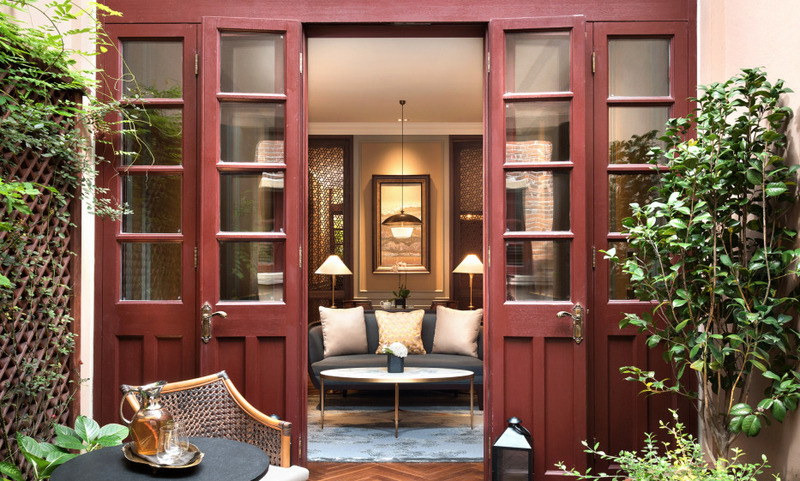 The French Concession quarter’s unique looks fit the Capella Shanghai’s modern and relaxed setting like a hand in a glove. The Three Michelin starred restaurant from Chef Pierre Gagnaire is an exceptional culinary experience and worth a visit in its own right. The hotel offers seclusion along with a central location at the heart of the city.